Air pollution is terrible in the capital because of the burning of raw coal, used for heating during the bitterly cold winters. The video claims that this is made worse by migration from the countryside, forced by global warming. 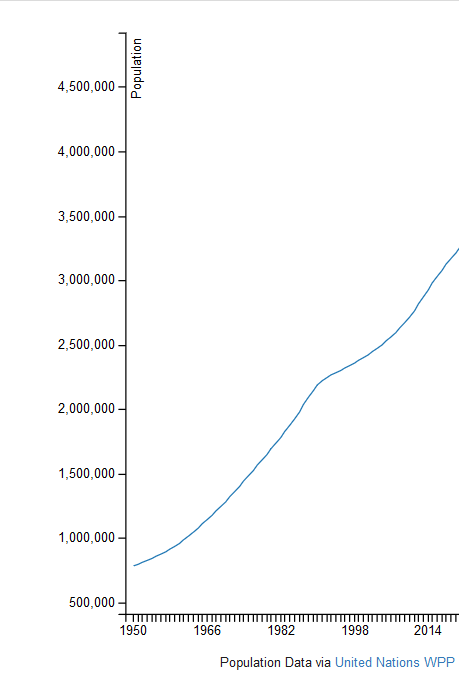 In reality, the population of the capital, Ulaanbaatar has been growing rapidly since the 1920s, and now numbers 1.3m. As with societies around the world, this has in part been due to migration from the countryside. None of these have anything to do with climate change. Hegarty interviews herders in the countryside, who say that bad winters have impacted their herds in recent years, making life more difficult for them. But bad winters are a fact of life in Mongolia. A zud or dzud (Mongolian: зуд) is a Mongolian term for a severe winter in which large number of livestock die, primarily due to starvation due to being unable to graze, in other cases directly from the cold. There are various kinds of zud, including white zud, which is an extremely snowy winter in which livestock are unable to find nourishing foodstuff through the snow cover and starve. Tsagaan (white) zud results from high snowfall that prevents livestock from reaching the grass. It is a frequent and serious disaster that has caused a great number of deaths. Khar (black) zud results from a lack of snow in grazing areas, leading to both animals and humans to suffer a lack of water. This type of zud does not occur every year nor does it affect large areas. It mostly happens in the Gobi Desert region. Tumer (iron) zud results from a short wintertime warming, followed by a return to sub-freezing temperatures. The snow melts and then freezes again, creating an impenetrable ice-cover that prevents livestock from grazing. Khuiten (cold) zud occurs when temperature drops to very low levels for several days. The cold temperature and the strong winds prevent livestock from grazing; the animals have to use most of their energy to keep warm. Khavsarsan (combined) zud is a combination of at least two of the above types of zud. 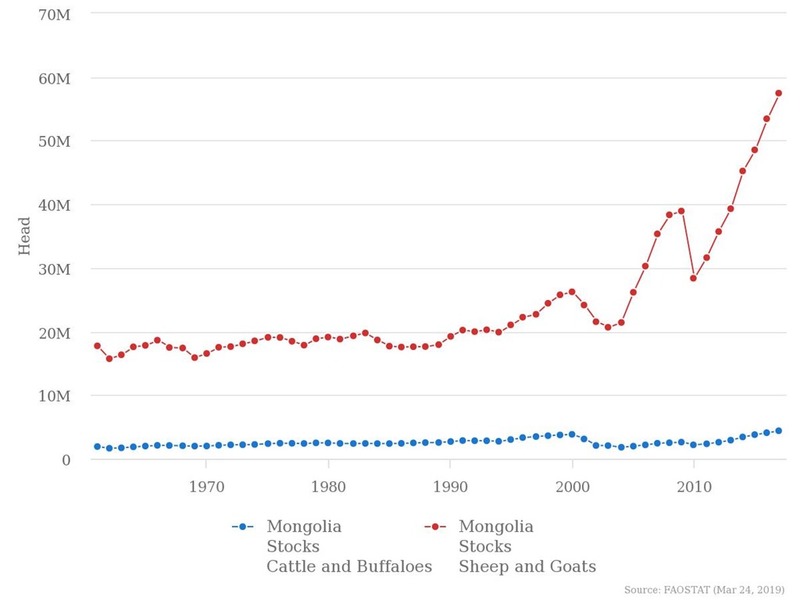 Despite these problems, animal stockholdings have increased sharply since state regulation of the sector was eased during the 1990s. Stephanie Hegarty condescendingly refers to the air out on the steppes as pristine. But life there is hard and absolutely brutal, so it is little surprise that inhabitants there prefer to move to the cities. Ulaanbaatar is going through the same process of economic development as western cities did a century or so ago. And the answer to their problems is the same – economic development, which allows them to clean up their environment at the same time as improving standards of living. The BBC film mentions that the city would like to move away from raw coal, to cleaner processed coal. But, as ever, it is a question of cost. This is extreme, almost apocalyptic. But the problems Ulaanbaatar is facing are being repeated all over the world. And unless we get a handle on the types of fuel we use, rapid urbanisation and climate change, this kind of pollution could become the disturbing norm..
Quite what climate change has to do with it, she does not explain. Ulaanbaatar may need help in catching up. But there is currently no alternative for the Mongolians but to carry on burning coal, which they have in plentiful supply. Certainly the idea, which is implied by Hegarty, that they could replace it with “clean energy” sources would end up with most of them freezing to death. I visited the place in 97, seeing Ulan Baatar and Dalandzadgad in the south Gobi mostly. Very Soviet, with lots of collective heating, ie municipal power plants providing home heating. If the power plants stop burning coal, they will have big problems very fast, not least because the heating systems would rapidly freeze and burst if say the wind stopped blowing and electrical heating went offline. get rid of cars you can walk. 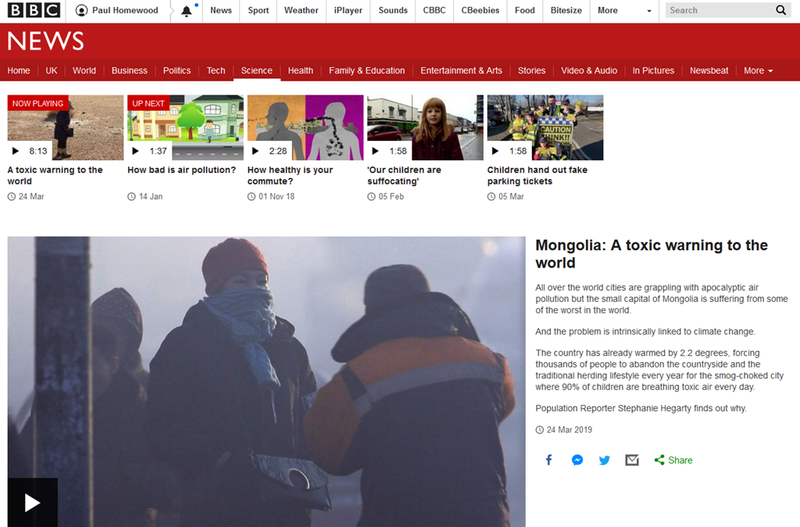 What does it have to do with Coal and Mongolia? I was in Ulan Bataar a few years ago and the city was very nice and not especially polluted. The coal fired power station was in the city, but was well controlled. The main climate-related problem in that area of the world is temperature extremes: from daily averages over 40 C in the summer to about -20 C in the winter. These vary widely from year to year and the people are well used to this. The idea that 2 deg K increase in the annual average would make any difference (or even be detectable in daily life) is total nonsense. Urbanisation may well be the main source of increased pollution. I thought the worst pollution in Mongolia came from mining rare earth metals to make “green” wind turbines and batteries. Is anyone at the BBC functionally literate? Not capable to handle only small population?? The claim of a 2.2 degree temperature increase is in itself vague, if not vacuous. Kelvin? Celsius? Fahrenheit? Since when? This looks like UHI in Ulan Bator. I doubt whether Mongolia has sufficient measuring stations for such a nationwide claim. They use a decimal point to show they have a sense of humour. I heard that a major cryptocurrency has its server banks located in Mongolia somewhere – because of the cheap power. The main culprit surely is the poorer sections of UB society burning old tyres for heat because they cannot afford electricity or are not connected to the grid (UK Ambassador to Mongolia in a programme about the UK Foreign Office). I’m actually shocked that people who take responsibility for educating a population would knowingly twist the truth using outright and visible deception.